The DPRK has submitted registration papers for the recently launched Kwangmyongsong 3-2 satellite to the United Nations Office for Outer Space Affairs. The papers were dated January 24 but were only made available this week by the Vienna-based organization. They were submitted by the DPRK’s diplomatic mission in the city. They don’t provide any new information on the satellite, but are an important political step in North Korea’s continued instance that the launch was for peaceful purposes and that it’s abiding by international space conventions. In this case, the OOSA’s registration convention calls on member states to furnish basic details about the launch including the time, launch site location and the parameters of the satellite trajectory. You can see the entire document on the OOSA website. 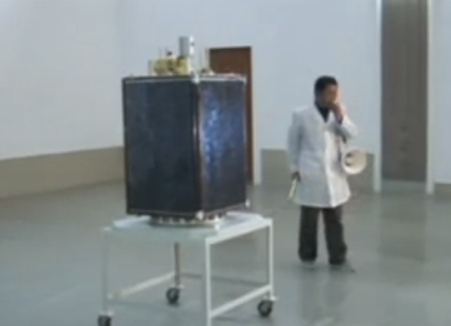 It is the first time the DPRK has submitted launch registration papers for a satellite with the UN OOSA. That makes sense as it’s the country’s first successful space launch, but it serves to highlight previous propaganda claims that earlier launches were successful.